On Valentine’s Day, I went to one of the lovely parks in my city with friends. I watched the children play on the unseasonably warm windy day, keeping a sharp eye on the two children with us. 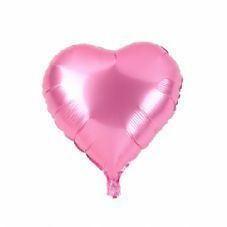 As the afternoon progressed, I spotted a pink heart-shaped Mylar balloon as it got away from the child playing with it. It rose in the sky, a pale pink heart against the white clouds and blue sky, triggering something within me: the need to write about it. At that time, I could not find the words but the thought stayed in the background of my mind. A challenge to write a story sixteen words long also stayed with me. Last night, long past the deadline for the story, it came to me as I lay trying to shut down the day’s thoughts and go to sleep. I got up and wrote it down, because I knew it would be gone in the morning. Satisfied that I took care of two things in one short story, I went back to bed and slept, happy with the knowledge that I could again write a story. The pale pink heart-shaped balloon escaped my hand. It floated away, disappearing like my love. This entry was tagged # MRJones, 16wordstory, amwriting, writingagain. Bookmark the permalink.